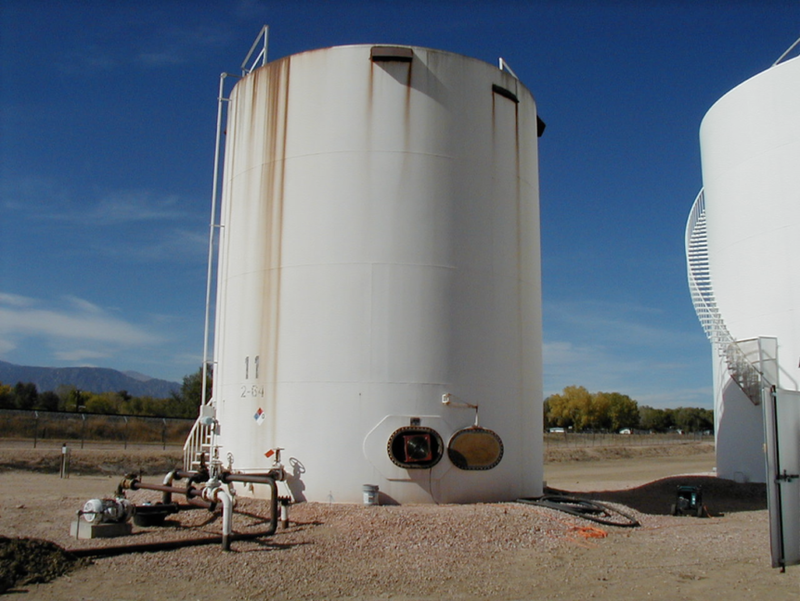 Description: TIS mobilized a 3-man Confined Space Entry team to a large Pipeline Terminal in Fountain, Colorado on October 16, 2001 to clean an Ethanol tank. Company personnel had pumped the tank out, blinded off all piping leading into the tank, prior to TIS’ mobilization. TIS’ checked the tank’s atmosphere with a Multi-Rae Plus meter for O<sub>2</sub>, Combustible Gas and VOCs. The tank’s internal atmosphere was continuously monitored during the project. Supplied air (Level B) was used by the entrants for respiratory protection. Saranex suits, nitrile gloves, and rubber boots were worn by the entrants to protect them from contact with the ethanol residue and solids while they were inside the tank. Full-body harnesses with retrieval lines were worn by the entrants for emergency extraction. The tank had approximately one-inch of solids on the tank floor prior to cleaning. The entrants used shovels and scrapers to remove the fibrous sediment sludge on the tank floor. Once the solids were removed, a 2500-psi pressure washer was utilized to clean the floor, the sidewalls, and the bottom of the floating roof. 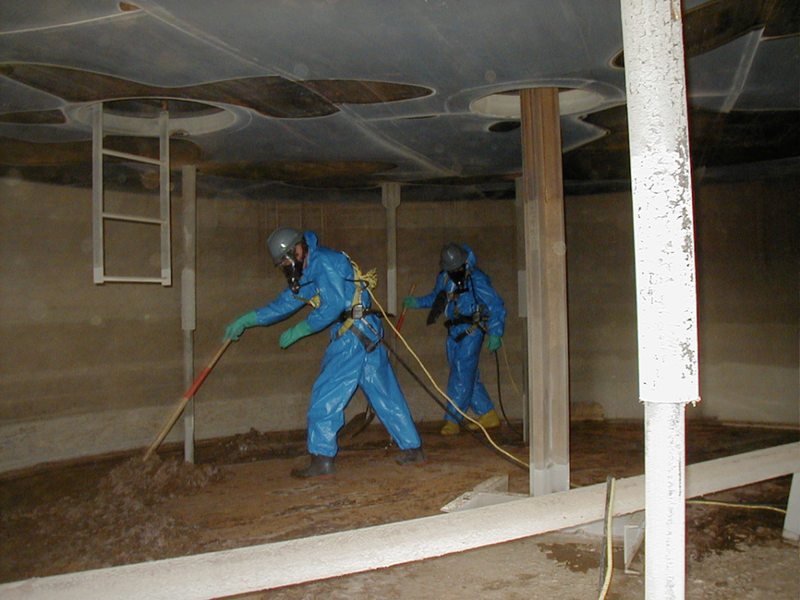 TIS specializes in confined space work and has safely performed dozens of tank cleaning projects in the last two years. We have the expertise, experience, and the proper equipment to take care of your confined space entry projects without incident.